« Early Bird Rate on Backyard Bird Photography Workshop! 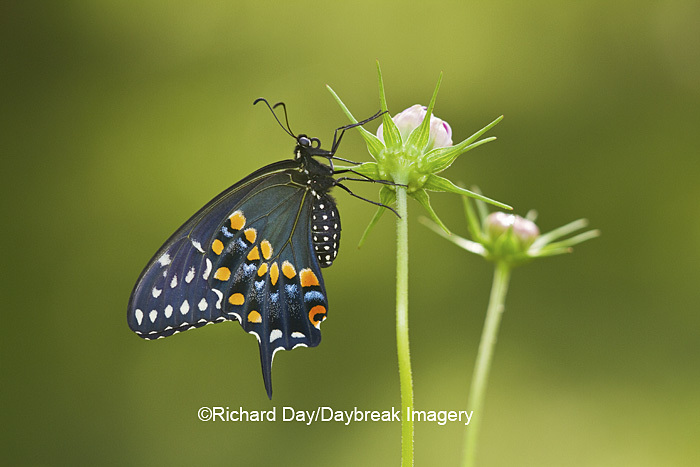 Richard and I love watching butterflies in our gardens, prairie, and wetland areas—and have documented 70 species at Daybreak Sanctuary. Most people think it’s because we plant all those pretty nectar plants for the butterflies to feed from. They’re wrong! 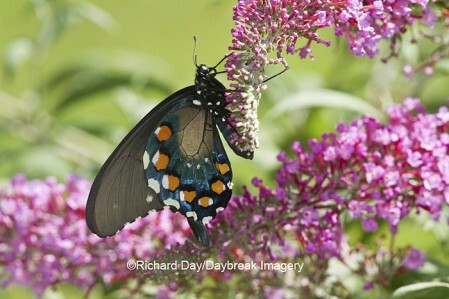 A successful butterfly garden requires something for all stages of a butterfly’s life. Here’s a really quick natural history review of butterflies: After mating, a female butterfly lays eggs which turn into caterpillars. A caterpillar forms a chrysalis that pupates into a butterfly. 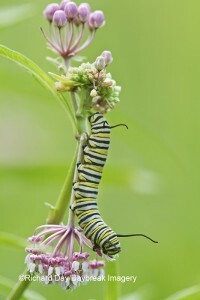 Butterflies lay their eggs on or near a plant where their caterpillars will feed. These plants are very specific to each species and are called host plants. 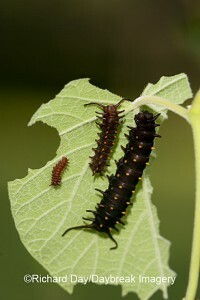 The caterpillar spends all its life munching on this host plant, and these plants are the heart of a successful butterfly garden. It’s a good idea to read about the butterfly species that live in your area, learn their host plants, and offer those in your landscape. You’ll attract more butterflies doing that than by planting colorful flowers for them to nectar from. Because if truth be known, the butterflies are looking for a place to breed and produce more butterflies—and they can’t do that without the host plants. So when making plant selections for your landscape, include more than nectar plants to create a butterfly-friendly habitat. Anyone who knows me, knows that I can’t live without oodles of flowers in my gardens—so I always include plenty of those for the butterflies too! This entry was posted on Saturday, May 21st, 2011 at 8:06 am	and is filed under Butterflies, garden writing, Gardens, nature photography, Seasons. You can follow any responses to this entry through the RSS 2.0 feed. Both comments and pings are currently closed.